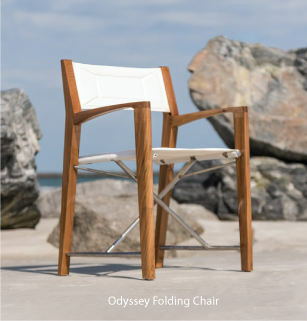 Inspired by the lifestyle of casual luxury, the Laguna teak outdoor lounge line brings you a durable solid teak lounge furniture collection that evokes the carefree style of a bygone era that blends well with both traditional and modern styles. Suitable for Indoor, Outdoor, Residential, Commercial and Marine use. Generously proportioned teak lounge chairs and well-thought out inside length for the solid Grade A teak love seat, at 60 inches, gives you that extra "leg room" with which to stretch into! The round teak coffee and side tables provides more versatility in seating arrangements whilst the ottoman quickly doubles as a coffee table or a place to put your feet up. The Laguna Deep Seating collection features everything one needs to make a stylish and comfortable seating arrangement. All our teak furniture is made of certified teak wood. New this year are the Laguna Bar Stools, Bar Table and a variety of upscale, premium Laguna Teak Garden Benches as well as what we expect to be one of our most anticipated pieces, the Laguna Teak Dining Chair and Side Chair.